Laid back WATERFRONT with a flair! 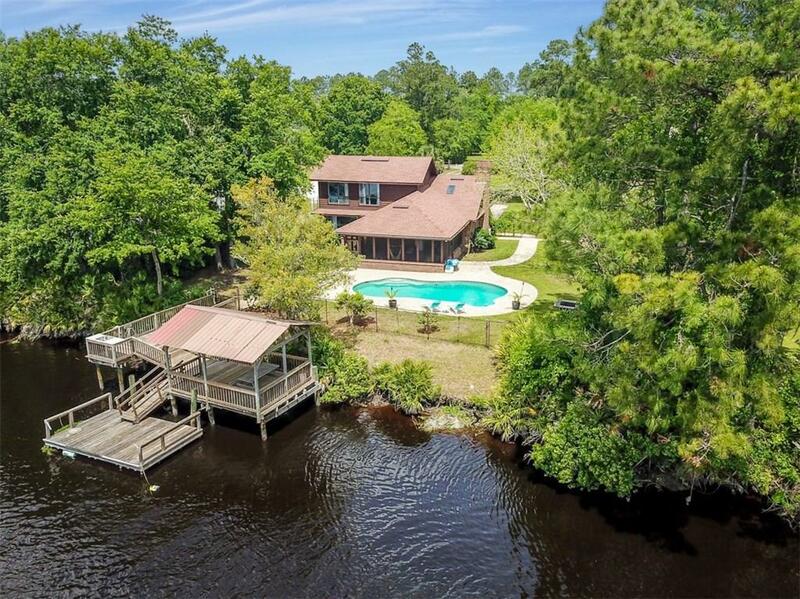 Enjoy this waterfront home inside and out! Riverfront sunsets on the dock fishing, weekends by the pool, or the new interior finishes after a long day at work. This home is sure to please with vinyl plank floors and new baseboards, ship lap surrounding the gas fireplace, white bathrooms with new fixtures, and new lighting fixtures on the main floor make the perfect accent. Fogged windows have just been replaced so you may enjoy the waterfront view from inside as you rise each day or cook dinner. Pool is heated, roof was replaced in spring 2018. Patio has spacious covered and screened area to sit and cool off or enjoy a nice rainy day. Master BR Curtains do NOT convey.